The British Rowing Competition Framework is the national structure that supports the way competitions are organised and run. Essentially it’s the architecture and system that underpins the racing scene in this country and, as such, it is incredibly important to the sport. The previous status points system worked on a simple basis. If you won an event at a regatta that was affiliated to British Rowing – and only if you won – you got a status point. If you finished in any other position, from second place to last, you got no points. Winning a head race also got you no points; only regattas counted. The more points you won, the higher your status. Rowers started their competitive career as a Novice, and as they won more points they progressed through the status levels to IM3, IM2, IM1, Senior and finally Elite. As the sport grew and the racing scene got bigger, the old points system became less effective. More entrants into races meant everyone had less chance of winning an event, and so gaining points became a rarity, and fewer people progressed up the status levels. The scale of this problem was illustrated by insights from 2014, which was when the development of the new Competition Framework started in earnest. In that year, over 26,000 rowers competed in more than 200 British Rowing competitions across the country. Of these competitors, 85% of women and 71% of men had just two or fewer sweep points, while 90% of both men and women had two or fewer sculling points. This meant the overwhelming majority of British Rowing members fitted in just two racing categories – Novice and IM3. With such a narrow measure of a rower’s ability available to competition organisers, it’s no surprise that races at a lower status level started to get mismatched, and that races at the higher level started to get fewer and fewer entrants. One rower famously observed that she had won at the Women’s Head of the River Race, won gold, silver and bronze at BUCS, and competed in two Boat Races before she won her first British Rowing status point, which really brings home the challenge facing the sport at that time. The development of a new Competition Framework, and the criteria that guided it, started with a large-scale consultation of British Rowing members in 2014. A series of regional workshops were held across the country, led by expert volunteers in the form of the National Competitions Committee and with support from British Rowing staff, with input from every level of the rowing community: clubs, rowers, competition organisers, coaches, umpires and volunteers. Competition Frameworks from other leading rowing nations, such as Rowing Ireland, Rowing Australia, Rowing NZ, German Rowing and US Rowing were reviewed and benchmarked, as well as other sports from around the globe. Firstly, the majority of members wanted to compete at an appropriate level, against rowers of similar ability and expertise. Secondly, they wanted a Framework that discouraged the practice of crews and individuals actively trying to avoid gaining points (and by extension, avoiding racing) so they could compete at a low level. Lastly, there was a consensus that the old framework, which awarded points solely to the winners of events at regattas and nothing for everyone else, even winners of head races, wasn’t the best way to create a profile that accurately reflected a rower’s abilities. In summary, the rowing community told us they wanted fair, close and exciting racing for all levels of ability and expertise, and were clear that the old status points system did not provide them with that. 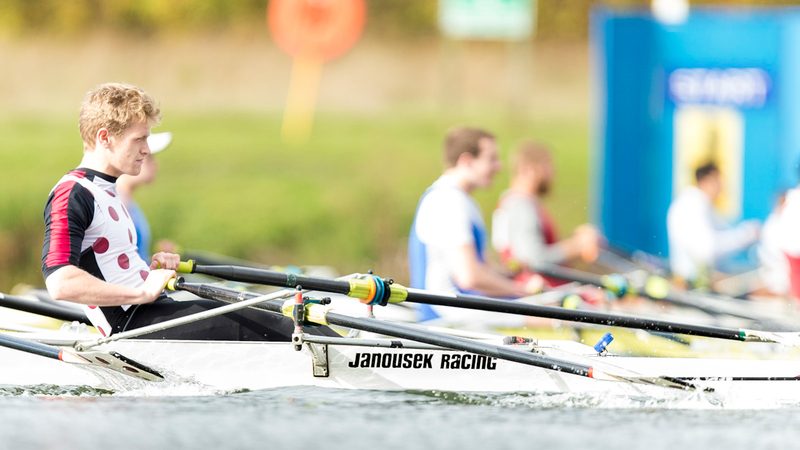 Improvements to the old status points system were considered, but in light of the scale of the challenge, and the objectives that the rowing community had set, it was agreed that the development of a bespoke, contemporary Competition Framework was preferable – which is the system that was developed, tested and rolled-out in April 2018.